A beautiful friendship quote to share with your dear friends. Friends are the family, we choose for ourselves and its true. 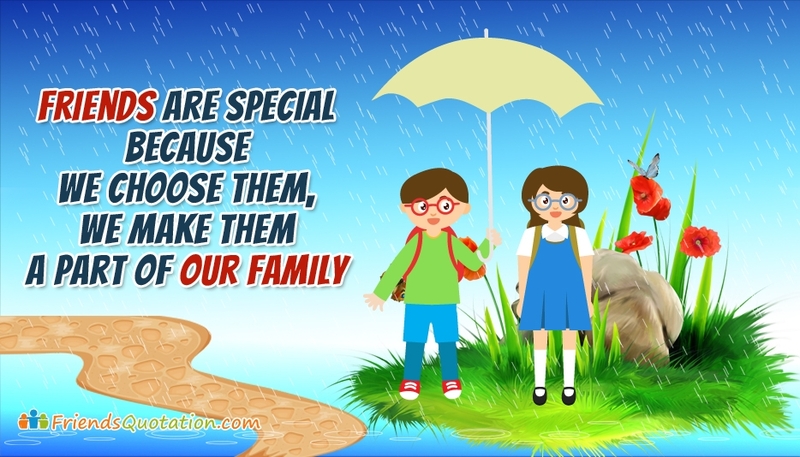 We have the previlege to choose our friends and make them one in our family. This thought friendship is beautifully expressed in this friendship picture with the words "Friends are special because we choose them, we make them a part of our family".